quality pilates classes in Balmain taught by certified instructors from beginners to advanced level. The Authentic Pilates Studio provides quality tuition by fully certified “Classical” Pilates instructors from beginners to advanced level. We are located in Lilyfield and conveniently service Balmain and the Western Sydney area. The Authentic Pilates Studio is a fully equipped studio utilising the highest quality Pilates equipment imported from NY as originally designed by Joseph Pilates. Our instructors are here to help you reach your goals whether it be it to improve your posture, general fitness, recover from an injury or post surgery, to climb that mountain or to win that next race! Reach your goals in full studio, Tower or Reformer Pilates classes. All the Pilates equipment is specifically designed to work your body and mind when used correctly. We urge you to to start with a few private personal training sessions with our instructors to ensure that you are using the equipment correctly and getting the ultimate benefit from your exercises. Once your body has regained its strength, you will be able to join a group session and share the joy of camaraderie of a Pilates exercise class. Training Plans to suit your lifestyle. You can choose to join a small group session or opt for private training. The choice is yours. We offer both methods of training at times convenient for residents of Balmain and Inner West Sydney. We are open 6 days a week, Monday through Saturday. 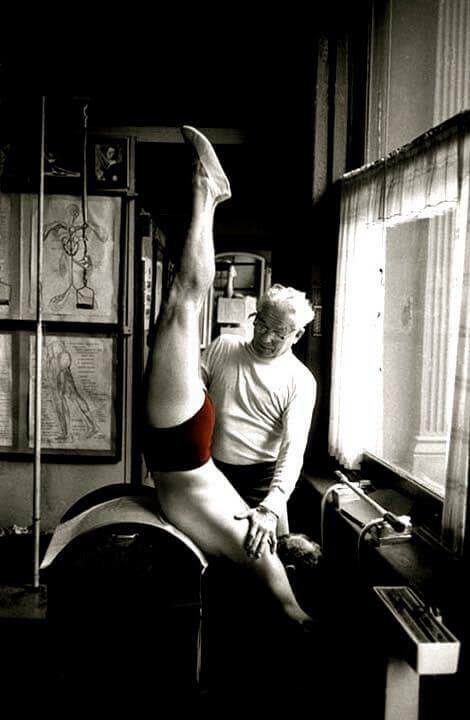 Although it didn’t really become popular or well-known until around the turn of the millennium, the philosophy behind the exercises devised by Joseph Pilates has been around since the 1920’s. Pilates is dedicated to the exploration of the concept that the human body has transformational potential for the total being. By focusing exercise on breathing, the core muscles of the torso and the alignment of the spine, your body can transform itself in ways that also benefit your mental outlook and acuity. The benefits of adding a “powerhouse” Pilates routine to you fitness regime will increase power and endurance and reduce injury. Pilates is capable of transforming a lazy body into a vibrant body, a dull mind into an active, aware and observant one and allows for the full exploration of the body and what it can achieve. Every journey starts with the first step. Take that first step today by picking up the phone and calling Authentic Pilates Studio to arrange for your initial, introductory private session. You will thank yourself later. The knowledge of the teachers and Instructors at the Authentic Pilates Studio is a class above! Their experience, knowledge of the method and attention to detail is inspiring and rewarding. The results I have achieved speak for themselves.